Overview: The main problem of the site is the low connectivity of its parts. It is particularly surprising if one take into account such a strong visual connection represented by the bridge itself. Secondary problem is the lack of “green” transportation options between the neighborhoods on the banks of the Cuyahoga River. 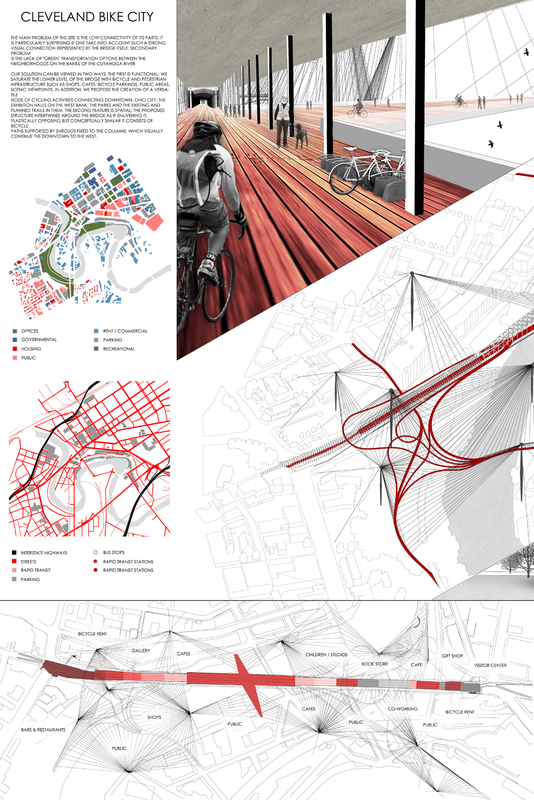 node of cycling activities connecting downtown, Ohio City, the exhibition halls on the west bank, the parks and the existing and planned trails in them. 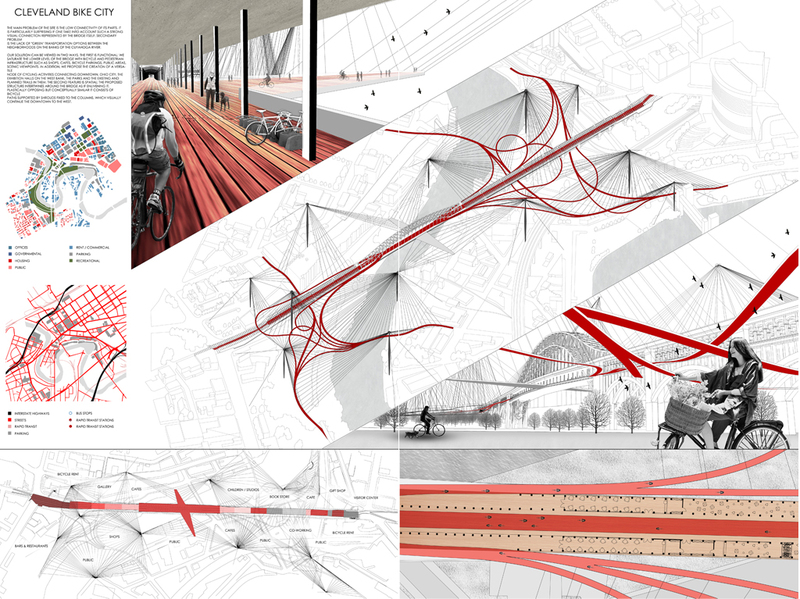 The second feature is spatial: the proposed structure intertwines around the bridge as if enlivening it. 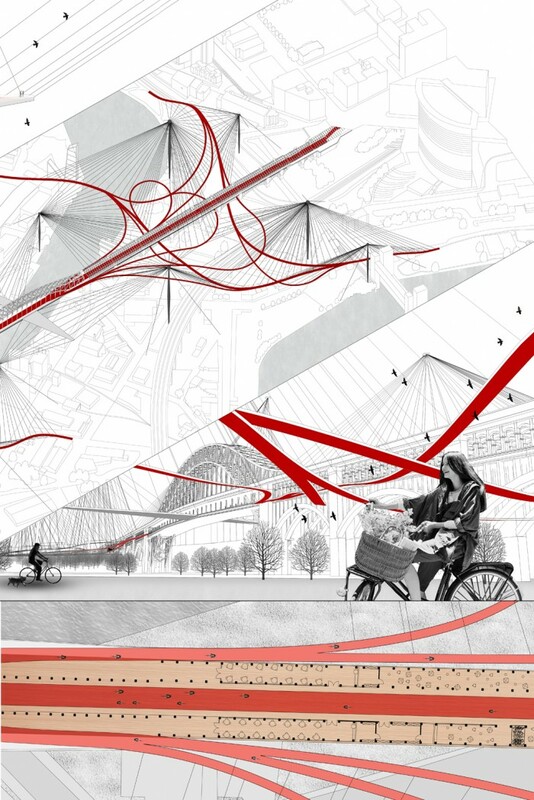 Plastically opposing but conceptually similar it consists of bicycle paths supported by shrouds fixed to the columns, which visually continue the downtown to the West.